The cardiovascular department at the world-renowned Cleveland Clinic is cautious about recommending swimming workouts to its patients. In fact, it often advises that they don’t. The clinic’s cardiologists are concerned that the physical demands of propelling oneself through a medium that is 784 times denser than air are simply too strenuous for people with cardiac conditions. If your heart is healthy, however, you can take their admonition as a ringing endorsement: Swimming provides one hell of a workout. So why do only half as many people swim for exercise each year as run or cycle? But the reward is worth the effort. Even a leisurely 30-minute swim will burn 214 calories for a 150-pound person. That’s 89 more calories than cycling at a similar intensity. And if you bump up the intensity to “vigorous” you can burn through 700 calories in an hour. 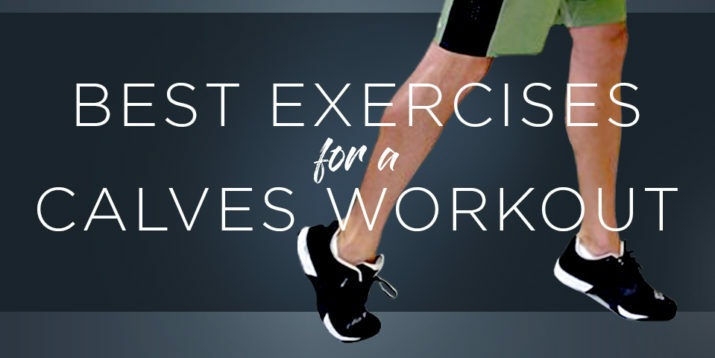 You’ll also train movement patterns and engage muscles that are often neglected in other forms of exercise—all without the repetitive physical stress that comes from pounding the pavement, spinning pedals, or otherwise exercising on terra firma. “Swimming is a great sport for general fitness because it’s low impact, it’s easy on the joints, and you can maintain a comfortable pace in that fat burning zone,” says Hirsty, who coaches people of all ages at the Southern California Aquatic Center, in Los Angeles. Triathletes, of course, have no choice but to train in the pool. Swimming is the first leg of every race, and sets the tone for the other two that follow. Flub up the swim, and you’ll be playing catch-up in the bike and the run. 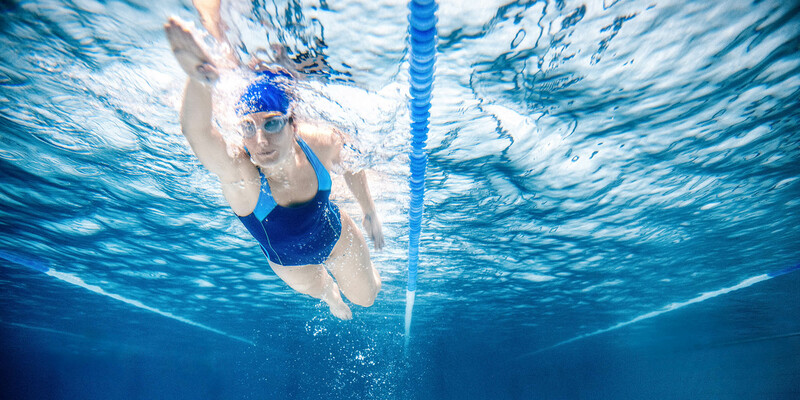 Regardless of your level of ability, the pool exercises below will help you optimize that practice with swimming workouts for beginners and seasoned competitors alike. Read on to learn how to make the most of every lap. Swimming is low impact, but to perform at your peak (and reduce your risk of injury), you still need to prime your muscles for action. Begin with 200 to 400 meters of easy swimming, and then do the following two drills to warm up for your swimming workout. Kicks: Grab a kickboard and hold onto it as you swim 100 meters. Rest 20 seconds after each effort. Repeat four times total. The goal here is to warm up your legs, not tax them, so keep your effort to around 50 percent of maximum. Pulls: Ditch the kickboard and grab a pull buoy, which is a “figure-eight” shaped piece of closed-cell foam that keeps your legs afloat. Follow the same protocol as you did for kicks (i.e., 4X100m). Most swimming workouts last an hour and cover 3,500 meters: One thousand for the warmup (described above), 2,000 for the main workout (described below), and 500 for the cool down, which should consist of easy swimming. Hirsty has fitness swimmers perform four swimming workouts a week that increase progressively in intensity from a distance-focused pool session to sprint intervals. Lubinski also likes a variety of swimming workouts for triathletes, and recommends up to four swims a week. You’ll find options for both types of swimmer in the workouts below (all percentages reflect percent of maximum effort). Hirsty likes to have her fitness-focused clients start the week with 500-meter intervals. We know—that sounds like speed work if you’re a runner or a cyclist. But you have to stop thinking like a runner or cyclist. In the pool (where you’re fighting water resistance) 500 meters is a respectable distance—especially if you repeat it multiple times. See if you don’t agree after a couple of 500s. “The first one will feel slow but the idea is to build up, making each 500 a little faster,” says Hirsty. If you’re a multisport athlete, you’ll likely come off the weekend having completed a long run or bike ride (or both). As such, Lubinski recommends that the first of your swimming workouts for the week be low intensity to optimize recovery. Resist the temptation to push yourself—you’ll have plenty of opportunities to do that in subsequent workouts. This one is all about helping your body complete its repairs. It also emphasizes stroke efficiency, training you to swim faster and farther with less effort. 9 x 50m kicks of progressing intensity (3 x 60%, 3 x 70%, 3 x 80%). Rest 10 seconds between each 50m effort. Use fins if possible. 10 x 100m pulls at 70% with 20 seconds rest between them. Focus on taking as few strokes as possible to cover the length of the pool. Having a feel for distance, speed, and effort (i.e., knowing how to pace yourself) is one of the keys to successful swimming workouts, let alone races. “If an athlete goes out too hard, he will falter in the latter portions of the interval or set,” says Lubinski. The following swimming workouts will help prevent that from happening by developing your inner speedometer, tachometer, and fuel gauge. In other words, you’ll become better at starting strong and finishing even stronger. There are two primary kinds of endurance. The first is steady state endurance, which Workout 1 helps you develop. The second is speed endurance, which is when you hit the accelerator and hold it down for as long as possible. Race pace intervals focus on the latter. You’ll be swimming 100m repeats regardless of whether you’re a triathlete or a fitness swimmer, and you’re going to swim them hard. You’re also going get very little rest (no more than 15 seconds) between efforts. 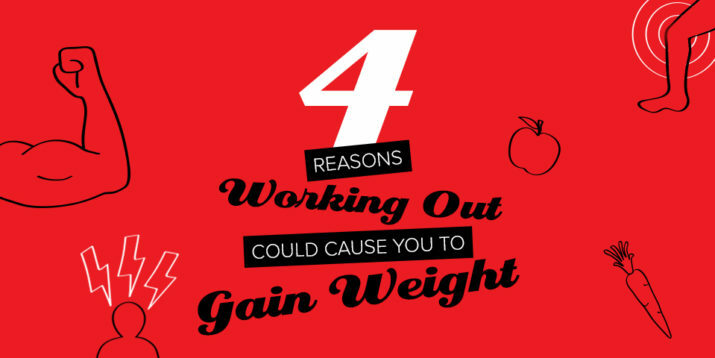 Not only will that build your staying power, helping you go harder for longer, but it will also help you improve your VO2 Max (i.e., your aerobic capacity) and overall stamina (exercise tolerance). Since this 10x100m workout falls 1,000 meters short of the typical 2,000m workout, do another round of kicks and pulls (described in “Step 1” above) at the end in addition to your regular 500m cool down. 10 x 100m at 80%. Rest 15 seconds between efforts. 10 x 100m (50m at 100% and 50m at 80%). Rest 15 seconds between efforts. There’s an En Vogue song from the 90’s with a key line for swimmers: “Free your mind and the rest will follow.” That’s the idea behind sprint intervals. These intervals are going to test your mental grit. You’ll very quickly feel the dull (but previously manageable) burn you experienced during Workout 1 blossom into a full blown, searing firestorm. And like a devoted masochist, you’ll rest just long enough to experience it again and again. Embrace the burn—it’s the feeling of becoming a stronger, more powerful, more resilient swimmer. 1X100m at 100%. Rest 4x longer than it took you to complete the 100. Repeat until your 100m time increases significantly. 16x25m at 100% with 10 seconds rest between efforts. That’s one set. Do three sets with five minutes recovery between them.